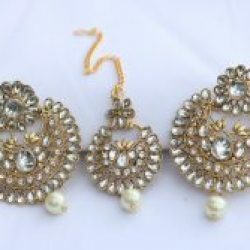 Artificial Designer white stone studded earrings with maang tikka . 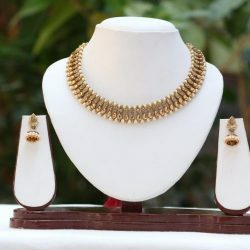 Add a little bling to your style with Reeti Fashions using elegant, sparkling, traditional Indian earring-tikka jewellery set. These accessories are a fashion statement that can empower any outfit in an instant. 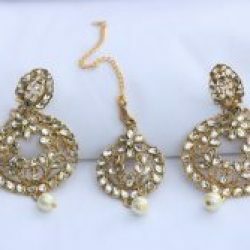 Opting for a classic piece of jewellery is a wise choice with Reeti Fashions Collections. Each piece of jewellery has its own special metalwork design made from copper, alloy or metal. It is chic, pretty, and elegant. You don’t even have to move out of the comfort of your home to add a little beauty to your wardrobe. Just check out all the accessories that work with your style at our exclusive online store. 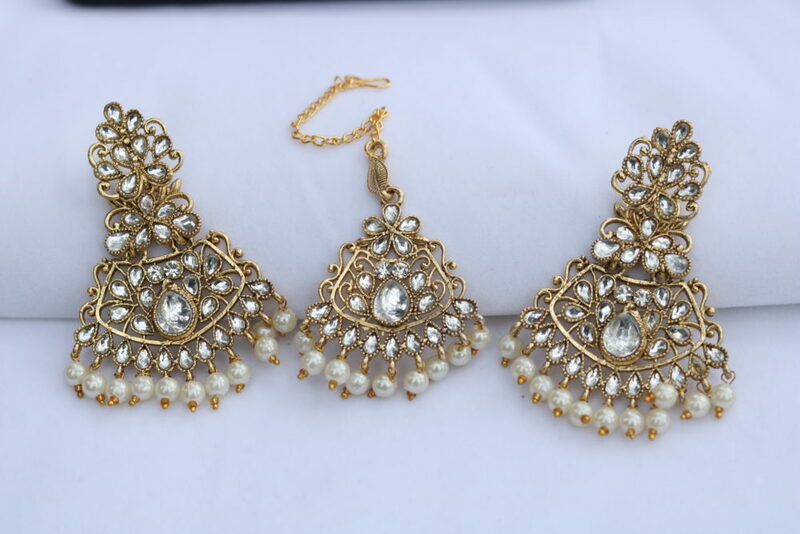 Appreciate the love for traditional Indian jewellery by buying this earring-tikka set from Reeti Fashions. 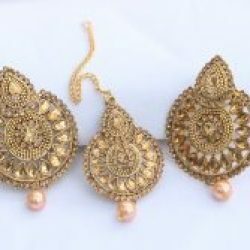 Each divine and fascinating piece of jewellery by Reeti Fashions is well suited for any traditional, festive or wedding occasion. 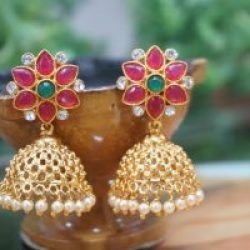 Wear them with any of your traditional and alluring outfits like saree, anarkali, lehenga and other styles for the perfect dazzling look. 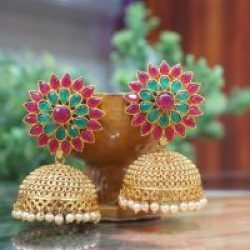 QUALITY – Made from premium quality material these earrings-tikka sets assure to remain in their original glory even after years of use. SKIN FRIENDLY – nickel-free and lead-free as per International Standards. Our pieces are hypo-allergenic and safe for the skin. 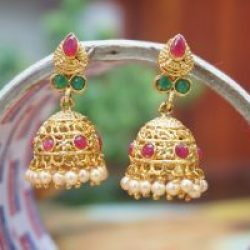 Rose Gold embellished pearl royal earring with tikka sets have push- back closure for pierced ears. 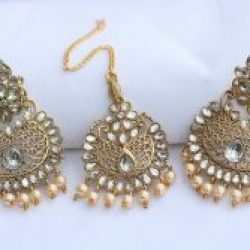 Avoid cleaning the jewellery with water, as it leads to oxidation of the metals. 1 maang tikka and 1 pari of earrings.